If you want to raise independent kids, it’s amazing how much a few phrases will help you meet that goal. 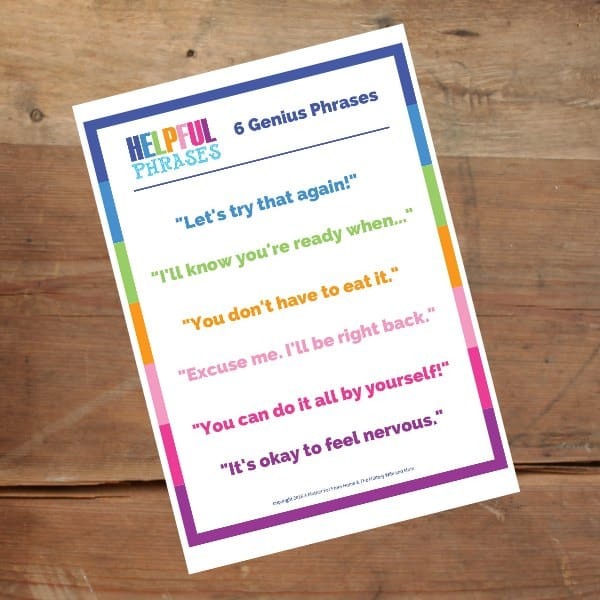 Get into the habit of using these phrases and watch your kids begin to blossom into little independent ones. Maybe it’s because I’m an only child (birth order does matter) or because I have 4 kids 4 and under (kids close together in age changes dynamics), but raising independent children is very important to me. I don’t want them to be emotionally distant or independent from their family, but simply capable and confident of their own abilities. You don’t have to know how to do everything to be confident of yourself. You just have to feel confident that you can figure things out. 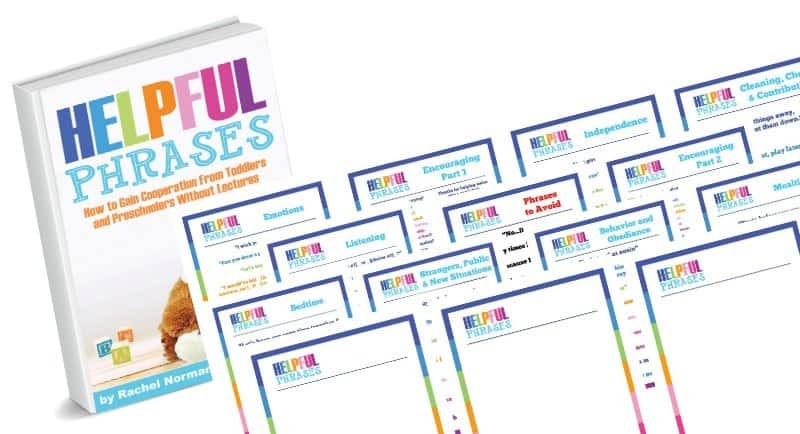 Here are some phrases that will encourage your kids to become independent and capable little ones who grow into adults who are ready and willing to try new things. Certain personalities don’t want to try anything they aren’t already good at. If you’ve already explained enough that you know your child understand what needs to be done, let them give it a try. Stay close, but don’t intervene before they’re met and pushed through a little resistance. I get what people say when they do the whole “don’t say ‘I can’t'” thing. But honestly… sometimes it’s just the truth. If I say I can’t speak Mandarin that is a fact. So instead of arguing with them about their current ability, look forward. “Let’s give it a few tries and then you’ll get the hang of it. Sometimes we have to give a lot of effort before it works!” This is both realistic and optimistic point of view. One thing I can’t stand is when my kids quit before they’ve even started trying. There’s wisdom in quitting something that’s unwise, unfruitful, or wrong, but kids need to know that the majority of things in life take a lot of real hard work and effort. And that’s okay. It’s really really okay. I’m happy to help my kids do many things because I love them so! However, with a lot of young kids it’s actually physically impossible to meet their constant requests. And even if it were possible, there’s no sense in it. My 1 year old can push a stool up to the sink, climb the stool, fill his cup with water and drink it. And I let him. It sometimes makes a mess, but I will say I have found one thing: my kids love to do things on their own. It’s not enough that we ask children to do things and expect them to obey. We actually need to teach them why things happen the way they do. Cause and effect. Chicken and the egg. The cart before the horse. After something goes one way or the other it’s wise to ask your children what they think about it. Get them involved in how things work. And honestly, the answers they give will be good fodder for their quote book. This works similar to the question above because it gets them involved. When I’m trying to get my children to do something and I am meeting a little resistance, I will often ask this question. Why this works well is because it lets you into their brain. Often you’ll find out exactly why they are hesitating. As a Type-A mom I tend to want things to happen quick, but my daughter will often give me quite a lengthy explanation as to why she thinks what she does and it helps me know her. Not only should you use this phrase when reading books to kids (you really really should), but this is simply a good way to get your children to actively engage in their life and what’s going on. It requires them to think about the possible effects of their actions, and that’s exactly the goal! Terrific things to be reminded of often. 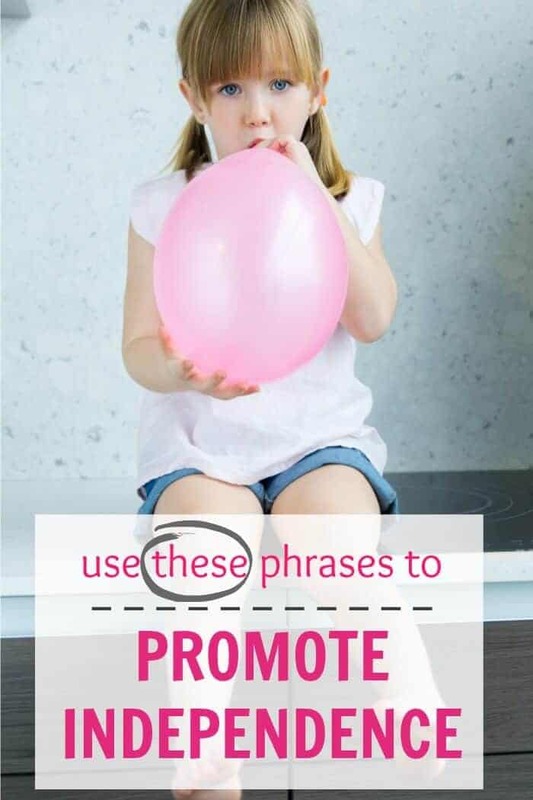 While these are important to remember while communicating with little ones, the difficult part is remembering to do so in the “heat of the moment.” Taking a deep breath and using these tools can dramatically change way we communicate with children. As always…easier said than done, but well worth the effort. So true, Elizabeth. This post actually came out of me having to constantly hold my tongue and not get exasperated with one of my children who wants everything done for him! Oh, I always appreciate the time I spent here — I run a home-based Montessori preschool, so these phrases speak right to my heart! It can be hard to encourage independence, especially when doing it for them can be so much easier and make us feel so much nicer, but it truly does amazing things for children :) Thanks for sharing! How fun! I haven’t read much on Montessori, but every time I read a post here or there about it I think it seems right on. I actually think we almost have to teach them to NOT be independent, you know? This is a great list. My mom used many of those with me, and I know it was good for my personality! “Hard to do, but you can do it” was one of her regulars. I used these and a few others on my boys as they were growing up. Their favorite was and still is, no boxes no limits. I wanted them to know they could do anything and become anyone regardless of what the world thought. What country are you from? I bet each country has their own “go to” phrases, huh?